We invite you to watch an insightful 60-minute video of Stanford professor Haim Mendelson talking with Dr. Leonard Lane of the Fung Group. The Fung Group traces its origins back more than 100 years, and has successfully embraced changes of many shapes and kinds. (1) Aims in view/goal tuning (Innovating Minds, pages 212 – 231). How does the Fung Group’s three-year (non-rolling) plan allow for a longer-term view and provide for crucial “temporal slack,” with room to experiment and gather feedback? (2) Motivating exploration and purposefully learning to vary (Innovating Minds, pages 146 – 159). How does the Fung Group’s new “Explorium” facilitate prototyping and making/finding? (3) Absorptive capacity (Innovating Minds, pages 181 – 188). How does the Fung Group’s “70/30 rule” have implications for learning, experimentation, and how they extend what they know—and can do? “Goal tuning” at Apple, Inc.
How do Apple’s major products relate to one another in a logical and practical way? And how does Apple seek to ensure compelling functions for each of their devices, large and small? Following the logic through, the function of the iMac desktop computer must then be to surpass the roles of its smaller siblings: “Its job is to challenge what we think a computer can do and do things that no computer has ever done before, be more and more powerful and capable so that we need a desktop because of its capabilities,” said Schiller. 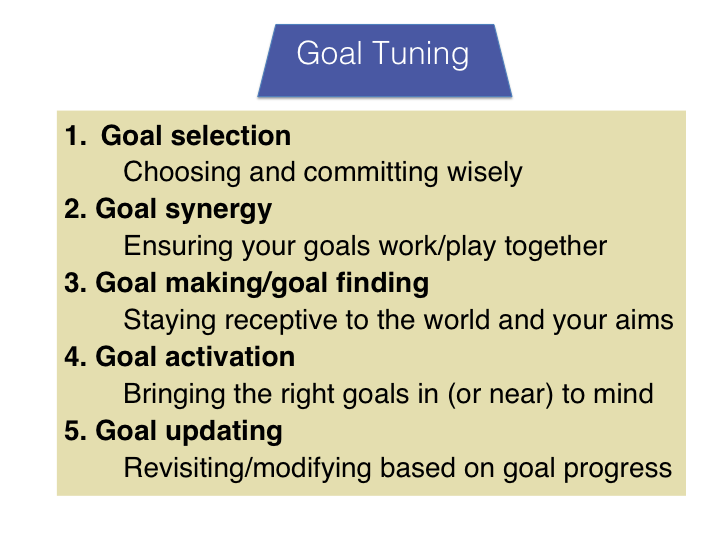 How might we think of this approach in terms of what we, in Innovating Minds, call goal tuning? Clearly, it’s an example of goal synergy—purposefully pursuing multiple goals as interconnected. The addition of new players such as the Apple Watch and the iPad Pro are instances of “goal making/goal finding” and “goal updating” as the new products emerged, in part, from concrete insights gained from using the other devices. Their approach also helps with knowing which future and long-term goals should be endorsed (and articulated).